Residents of The Heritage at Fox Run in Council Bluffs, IA enjoy beautiful senior apartments designed especially for their unique needs. 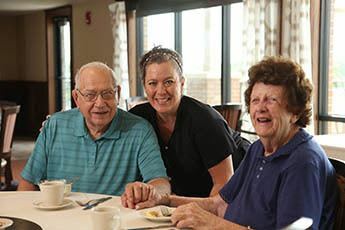 Our senior living community is dedicated to enhancing the lives of our residents. 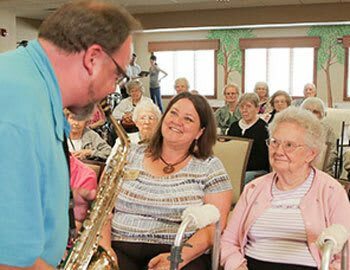 Whether relaxing in the privacy of your apartment or partaking in a community event, we help southwest Iowa seniors live their best life. All of our services are designed to easily adapt to your physical, social, emotional and spiritual needs. Our goal is to help you remain as independent as possible for as long as possible, with a personalized plan of wellness and care.